Can I Trademark my Band Name or Artist Name? Yes you can trademark your Band Name or Artist Name under certain circumstances. If you are using a particular word, graphic, phrase or slogan of Band Name or Artist Name, you can trademark it to prevent any other artist form using it without your permission. For example, the mark “Rolling Stones” is a registered trademark for “live musical performer…., entertainment…”. A Band Name or Artist Name trademark entitles the owner of the trademark to stop others from using their mark or a similar mark on a specific goods & services without their permission. See additional requirements below. 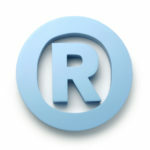 Any mark consisting of the name of an author used on a written work, or the name of a performing artist on a sound recording, must be refused registration under §§1, 2, and 45 of the Trademark Act, 15 U.S.C. §§1051, 1052, and 1127, if the mark is used solely to identify the writer or the artist. See In re Polar Music Int’l AB, 714 F.2d 1567, 1572, 221 USPQ 315, 318 (Fed. Cir. 1983); In re Arnold, 105 USPQ2d 1953, 1957-60 (TTAB 2013); In re First Draft, Inc. 76 USPQ2d 1183, 1190 (TTAB 2005); In re Peter Spirer, 225 USPQ 693, 695 (TTAB 1985). Written works include books or columns, and may be presented in print, recorded, or electronic form. Likewise, sound recordings may be presented in recorded or electronic form. (2) The application contains sufficient evidence that the name identifies the source of the series and not merely the writer of the written work or the name of the performing artist. In re Arnold, 105 USPQ2d at 1958. If the applicant cannot show a series, or can show that there is a series but cannot show that the name identifies the source of the series, the mark may be registered on the Supplemental Register in an application under §1 or §44 of the Trademark Act. These types of marks may not be registered on the Principal Register under §2(f).